Finance Minister Michael Noonan has re-iterated his Cabinet colleague Leo Varadkar’s statement that the government has made no decision over how the forthcoming property tax would be implemented. His statement comes after weekend speculation that the tax would be based on the value of a home rather than on a site value tax basis. 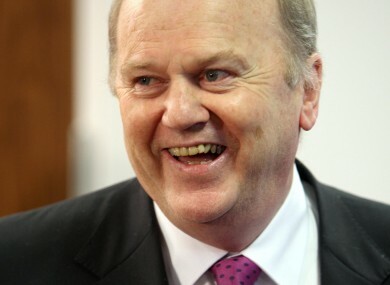 Speaking this morning, however, Minister Noonan said that he had a preferred method that he would share with the Cabinet. He said the only thing that is now certain is that there will be a tax and it will be collected through the Revenue Commissioners. Sinn Féin spokesperson Pearse Doherty has said that his party opposes a property tax. He said that Sinn Féin favours the introduction of a wealth tax instead. The Donegal man claimed that €800m would be raised by the introduction of this tax. Mr Doherty said that the Troika made it clear to his party that aspects of the bailout could be renegotiated as long as revenue targets were met.